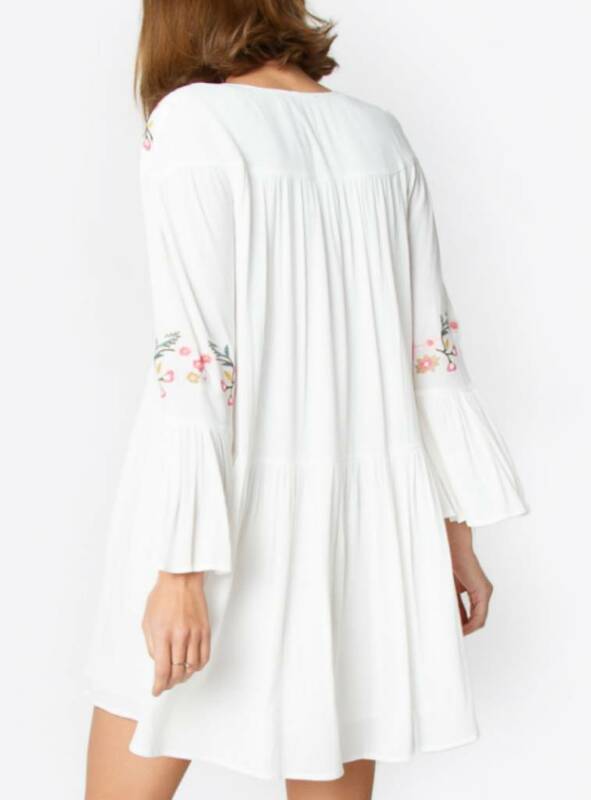 White ruffle bell sleeve boho style dress with floral embroidery detail, and a v neck front. Fully lined. 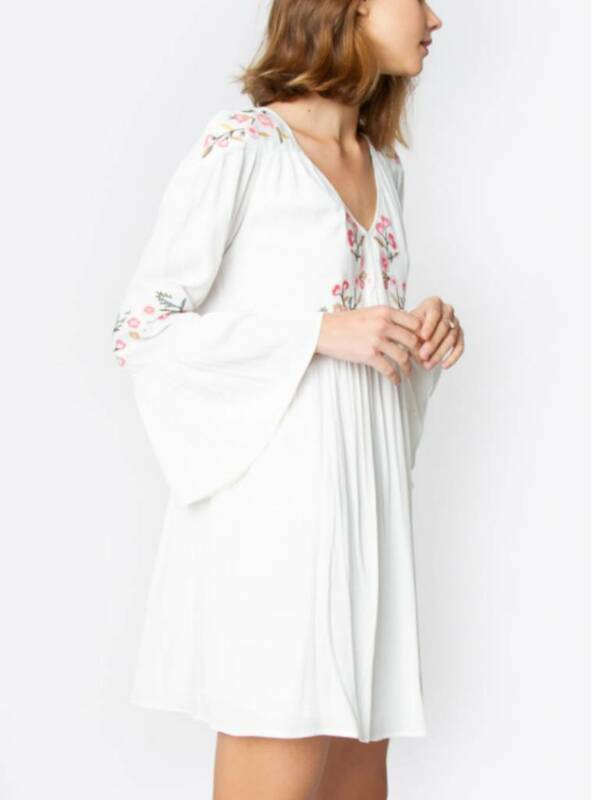 This dress runs true to size with a boho style fit. Model is 5'11" and is wearing a small.